"design and colors are sick! " "Dolp wheels, would love to screech and slide around on these. Thanks for the consideration, Cheers. ..."
"Super clean brothas! Need these now🤙🏻"
"I hope i win. " "Bones or Die, hope to see these gems go to a deserving ripper." "please i need new wheels for skate!" "Love Bones wheels and grew up on Super Mario! Hook an old dude up! " "Perfect Wheels to start off with. A hint of nostalgia and a whole lot of fun." 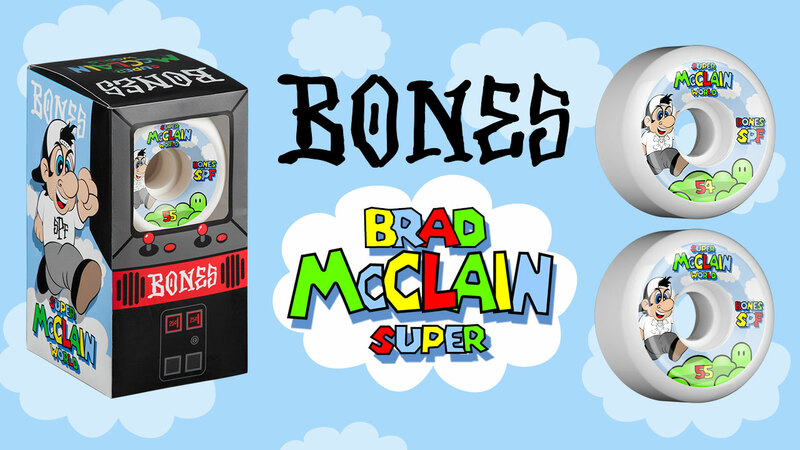 The BRAD McCLAIN 'SUPER' PRO WHEELS GIVEAWAY has ended.